The cute gift box I received before Christmas delivered right at my doorstep. I went home that evening after another Christmas party and I needed to rush as I was heading for the church to hear an anticipated Misa de Gallo. Upon arriving home, my Mom told me a parcel has arrived. There was a gift for me from Nuffnang. I was surprised! I had not expected anything from anyone. But alas, there it was in fuschia pink cute gift box with golden ribbons on top. I thought it would be best to wait for Christmas day before I open the said present, but the very next day, however, I received a text message from Ms. Trixie Esguerra, the friendly lady from Nuffnang. Fellow bloggers, have you received your own camera by this time? Hope so...It's fun to shoot photos of our kids because these are memories that'll never come back and seeing them only on print will be for our keeping. When they'll grow up, it'll be nice to reminisce all the good times they had when they were kids. Thank you so much, Nuffnang and J & J! Inside was a Kodak one-time use disposable camera from J&J. If there's one part of my body that's most abused it's none other than my feet. I'm weighing hefty pounds on the scale and just imagine my feet carrying my body weigh each and every day is already a miracle in itself. I know that my feet also deserves some TLC and pampering, but I'm not really vain, a trip to the spa for a foot massage would probably the last on my list. So the most I could give is a simple D-I-Y massage at the comfort of my own home and a memory slipper I've recently come across with. The downside I think is, you always had to make sure your feet are dry before putting this slippers on...it's only good for bedroom or inside your home but it's not suitable for the outdoors. It's available in other pastel colors like sky blue, pink and yellow. Kyle's latest artwork had earned him a silver medal. You've seen smart kids at parties or school functions: the ones who climb a table or makeshift stage without hesitation, and display their singing, math, or dancing prowess. These are the precocious youngsters who can name all the Philippine presidents in order, identify the flags of other countries, and recite the multiplication table by heart. Most of us wonder, what did the parents of these kids do to make them this smart? One thing's for sure: It doesn't happen overnight. According to the experts, stimulation starts as soon as the child is conceived. The importance of stimulating baby's brain is often overlooked since as parents, we're too busy taking care of his needs; feeding, changing diapers, burping, putting him to sleep. But it is during the earliest years of life that the brain is best able to record sensory experiences. First of all, I think it's important to acknowledge that every child's first and best teachers are his parents. Some people may not agree with me, but I don't believe in tutors. I firmly believe we're in a better position than anyone else to study our child as an individual. We'd know how he learns best, what encourages him, and how to challenge him. When Kyle was still a toddler, I used to read to him everyday and I made sure to surround him with books to help expand his vocabulary and to like reading early on. Research has shown that children who are exposed to quality books throughout their early years developed advanced literacy skills. I used to read aloud to him, asking him to point different objects on the page. When he learned to read, we shifted roles and asked him to "read" to me as we go through the pages together. Reading to your child fosters a wonderfulbond between a parent and child. I've also noticed Kyle's creativity at the age of three. A regular child may scribble a letter for you, but a talented child would surprise you with a masterpiece, It's like he put a lot of thought to it, but amazingly, he prepared it as swiftly as a regular child would do scribbles. I would let him sprawl on the floor with his two feet criss-crossed on air while busily doing his sketches. I would just peek at what he's working on and when he's done, he would get up and run to me to show his latest work. Of course, I had to make sure to support his interest--to allow him to pursue his talent. I had to stock on paper, crayons, markers, oil pastels and watercolor because a mere pencil would not do. And when Kyle turned six, it was the only time I officially enrolled him at an art class where he did his first oil painting. It's nice to encourage your children to be the best once they find something they love with a passion--be it in science or arts. Be their number one fan, the steady force in their corner, the wind beneath their wings. It's with our invaluable support that they will themselves strive for excellence. Kyle won 1st place during Crayola's on-the-spot art competition. Kyle busy working on his artwork. Everyday Kyle teaches me the real meaning of parenthood. If you see Kyle, you'll think he's like any normal eight-year-old. But really, he isn't. He's got Attention Deficit Hyperactivity Disorder (ADHD). It is a condition believed to be caused by biomechanical imbalance in the brain which allows problem solving, planning and impulse control. It usually impairs a child's ability to function well in school and can certainly disrupt learning. They have problems sitting still, staying focused, following instructions, staying organized and completing tasks. This means I had to learn new skills and values in order to raise him properly and learn to live with his ADHD. I've learned to give up a lot of personal luxuries and learn patience, sacrifice and acceptance. The challenges, the frustrations, the worries are tenfold or maybe a hunderdfold for someone like Kyle. As a parent, discovering that something may stand in the way of your child's success can be unsettling and difficult. I have met people who feel differently about their special children--those who feel angry, ashamed or embarrassed. Sometimes they were surprised to hear me talking candidly about Kyle's condition and how proud I am of him. Anger or depression will not change the fact that he is a special child. I cannot wish or fight the condition away. ﻿Sure, I might never have a typical relationship with him but I can still have a fruitful relationship with him. He's proud of his work. ﻿Kyle was a joy to me. Seeing him healthy, thriving, coping and even excelling in mainstream (a regular school where he's in the star section) class was an answer to our prayers. Kyle's mind is differently wired, he's psychologically challenged but he had geniuses as well. He's a consistent honor student and he's won numerous awards even representing his school in academic, sports and art competitions. He does well in a regular school, not only because of an excellent teaching and caring envirionment, but also due to the fact that there is a team of people behind him: his occupational therapist, SPED teacher, kind and understanding class adviser and us--all supporting him in every step of the way. He loves to draw a lot of sketches. When he started grade school, I've told Kyle that he can't just get by with just listening to his teacher during class time. To fully understand the lesson (and getting high marks at that), he must allow some extra studying time on his own. He has a study area at home conducive to learning. I make sure it's well lighted, uncluttered, comfy and as quiet as possible. Studying regularly is a MUST. It may already sound cliche but having a place to study is only effective if he spends time in it at a specific time each day. I've explained Kyle to consider study time sacred. And before he knows it, studying has already become a habit on his own. But I still had to be present to guide him. Frequent discussions about how was his day in school is also important for me to know if he's coping up in class. I usually encourage him to do his best (no mediocre performance) and inspire him with real-life accounts of famous people who also suffered from ADHD but have shaped their careers and accomplishments. Proudly showing off all the awards he had received. I have also given Kyle a few rules and guidelines when it comes to studying too. I told him to study first the most difficult lesson, then proceed to easier ones. In this process, even if he lacks studying for the easier subjects, he had at least acquianted himself with the more difficult subject. He must never procrastinate. Sure, he might get a rush out of beating deadlines, begging his teachers for consideration might also work, but he will end up submitting his work although on time, sloppily done. Anything from cramming spells disaster. 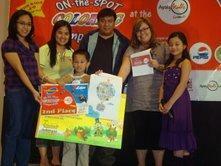 The lone male awardee during Timezone and Ayala Mall's on-the-spot coloring contest. I also make sure that Kyle gets sufficient sleep. If not, it's like gonig to school feeling like zombie. Lack of sleep might lower his resistance and anit-bodies making him more prone to sickness. A few weeks before the exams, I would also exert effort to make mock up tests to work on and review him. Making mock up exams isn't easy but I do this for his mastery and to have an idea how he'd most likely fare on the actual tests. It's difficult to keep Kyle focused, but it's even harder when he'd sometimes throw his apocalyptic tantrums during study time. Aside from arts, he's also inclined into music. It's also important that Kyle stays healthy during hectic school days. This means he has to take care of himself. It is a rule for me to eat breakfast, it is the most important meal of the day. He needs to eat well, exercise to keep him fit, and improve his concentration and minimize stress. It is my duty to serve him balance and nutritious meals. He must also drink his milk, take his Nutroplex and vitamin C with zinc daily. 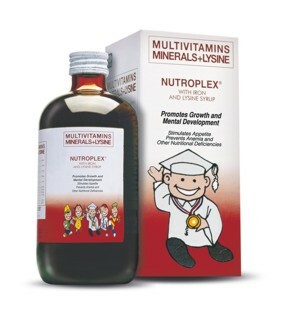 Kyle's multivitamin which my Mom had used on me, a brand our family had trusted for years. He's got to understand that he's not a machine that can work 24/7 without taking a break, even machines breakdown. He needs to have fun too. "All work and no play make Jack a dull boy." I reward him for every milestone he accomplishes. If he's done with his assignments, for instance, he's allowed to watch TV, buy books, or a new toy or we'd simply hang out at the mall. How time flies. So much had changed in a span of eight years. Now Kyle looked different, he goes to school with nary a background glance after I kissed him goodbye. He's ready to take on the world. I realized that the hardest part of parenting isn't just raising him but letting him go. I could only step back, but become teary-eyed as I waved goodbye. My baby is now a boy--and though I'm so proud of what he's learned and what he had accomplished, I miss what he'll never do again: silly conversation, sticky kisses, endless Barney songs and videos, and lots of hugs. These everyday details are so precious but easily forgotten. Someone said that God only lends us our children, we let them go but the gift is what they leave behind. The memories, the lessons, the joy of being part of their lives, that way they'll always be ours. 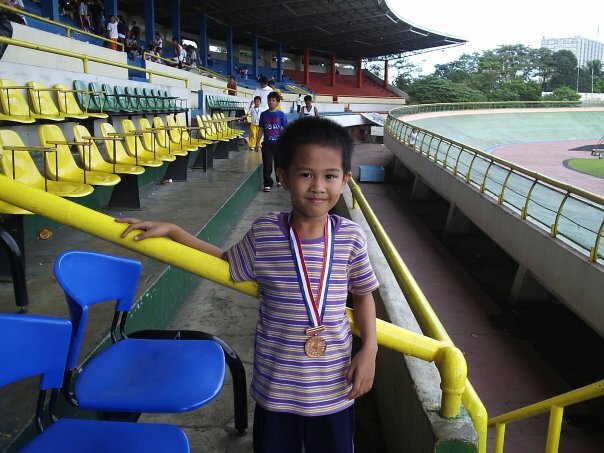 Here, Kyle won in the 25 m run at Amoranto Sports Complex. During the Christmas season, some people feel depressed because of the Christmas carols, the nippy air and the sights, sounds, and even the smell of holidays, somehow bring back memories of sad Christmas days years ago or even the Yule seasons that will never come back again. Think you can’t be happy this season? The truth is that there’s a power pack of practical tips to make you happy not only during the holidays but throughout your life! Happiness is a day-to-day thing. Instead of spending time worrying about the future or agonizing about the past and the things you wish you’d done differently, look at the things that are out there today. Keep track of a few things that are good. It’s a matter of choice whether you’re going to be happy or not. There are going to be hard things, but whether that’s the only thing you remember, that’s your choice. But really, there are plenty of things to be happy about no matter what the odds are. There are two things that contribute to our own happiness. The main thing is appreciating each day and the moment you’re in right now. It’s looking around and seeing something good, like your computer is still on and hasn’t blown up. Second, follow what interests you, even if it’s different from what everyone else seems to be interested in. Psychologists say there are five factors that add up to a happy life, and here’s the equation: Having fun+ the company of good friends + a sense of security + a feeling of belonging + a sense of achievement= HAPPINESS. Get involved. Whether it’s a Friday night get-together or a simple group meeting, psychologist say being a part of a group will make you feel more connected and increase your self-confidence and happiness. Choose music. When you come home from work or school, do you turn on the TV or stereo? Music enlivens the brain and soul while TV puts the brain to sleep. Volunteer. Tutor a niece; visit a nursing home or work in a soup kitchen in your church. Volunteering gives you a sense of purpose. Exercise. Play ball, go to the gym with a buddy, do tae-bo or simply tag along your dog to the nearest park for a leisurely walk. Busy is better. Knowing that you have things to do is more pleasant feeling than being doomed to ennui and having nothing else to do. As they say, the best thing to do to appreciate your job is to imagine yourself without it. Smile! One study showed that people mimic the expressions of others around them. If you smile more often, you’ll be greeted with more smiles, which will make you happier. Believe in yourself. Be your own biggest fan and you’ll really have something to cheer about. Get some sleep. Yes, despite the hectic schedule. How much you sleep affects your moods, concentration and happiness as well. Help. Random acts of kindness make others feel better about yourself for having done them. Surround yourself with friends. If you really want to be happy, choose supportive friends over competitive ones. They would make you feel better. Why do I always feel sad during Christmas? If you feel you’re suffering from a holiday blues, and you had been wondering why you’re feeling that way when everyone’s happy, check out the list I made. 1. Season reminds you of previous holidays when something tragic or traumatic happened—your brother died etc.—which you cannot help remembering every holiday season. 2. The season reminds you of past holidays which were much more happy, carefree, and problem-free. 3. The expectation from everyone that you “should” be happy during the holidays puts pressure on you to be so. This only means, more stress and more anxious when you’re not as happy as you think you “should” be. 4. Christmas falls on that time of the year when the days are shorter and the nights longer. The effect of sunlight on people’s moods has been proven to be a cause of a clinical disorder—seasonal affective disorder (SAD)—which has been included in the list of mood disorders known to affect certain people. The gray, sunless mornings make people sad. The lack of bright sunlight during the day and the fact that dusk falls much earlier really depresses people vulnerable to light. 5. Christmas is a time for family get-togethers. Thus, increasing the probability of family blow-ups when unresolved conflicts may play themselves out once more. 6. You may be clinically depressed for endogenous (internal) reasons. Such reasons are usually due to a biogenetic and/or physiological vulnerability to depression, which may have nothing directly to do with Christmas but just happens to fall during that time year after year. 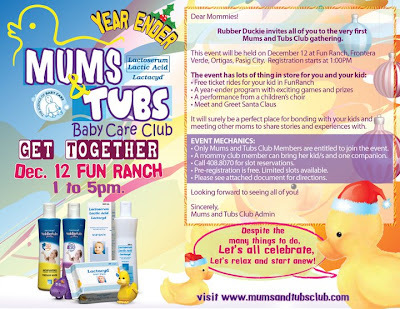 Last December 12, 2010, Lactacyd Mums and Tubs Club held an exclusive event for their members at the Big Red Barn of Fun Ranch in Frontera Verde, Ortigas. Kids and mommies were treated to a fun-filled day of games, foodies and surprises. TV personality and commercial model Ms. Patricia Bermudez-Hizon, hosted the said event. Her husband, former basketball star Vince Hizon also graced the event with their two loveable kids. The winners of Lactacyd's Baby Bath Time photo contest were also announced on that day but only one of the three winners was present to receive her award. She won P3000 worth of gift certificates from Big and Small Clothing store and Lactacyd gift bags. ﻿﻿﻿The Gawad Kalinga Tatalon choir also serenaded the audience with their angelic voices. Kids were also thrilled as they played in the high-ceiling play area at the Big Barn. The kids joined the contests and moms and dads also gamely participated in certain contests with their kids. Blogger mom and helpful friend Mommy Vix with son Jared. Cecille and Vix Parungao with Jared flanked by Santa and former basketeer Vince Hizon. Kyle with both Santa and Vince Hizon. Kyle with Santa behind a huge rubber duckie display. Santa also came to the delight of the kids. They were all given the chance to have their pictures taken with him as he gives out candies to kids after their photographs were taken. Each kid also received tickets for a choice to three free rides at Fun Ranch. Early birds also received a complimentary admission ticket to Ark Avilon Zoo in Fun Ranch. But the highlight of all was the Bingo, where three moms won P1000 worth of gift certificate from Big and Small clothing company. There were food and drinks and ice creams for everyone. Indeed, it was a fun day for the whole family. Free ride pass were given to all kid attendees. Meal of Spaghetti, corn, ice cream and pork barbecue with iced tea. Purple Hippopotamus with yellow rubber duckie. Bingo Claus, three winners of P1,000 gift certificate from Big and Small. Kyle with Chowder during the Meet and Greet. Last December 11, 2010, Saturday, hundreds of kids flocked to the main mall atrium of the SM Mall of Asia for the Cartoon Network's Merry Giveaway event. The said event was hosted by ArtAngel's Kuya JK. It was a fun-filled day for the entire family as there were booths with freebies and other surprises. There was even a meet and greet session with special guest, Chowder! It was a great photo opportunity for kids and their parents to have their picture taken with Chowder. Kids who joined the on-stage games went home with loads of goodies. Kyle trying to focus on a game of Tumbling Monkeys. Winners in all: Tumbling Monkey game had an all-boys winner. 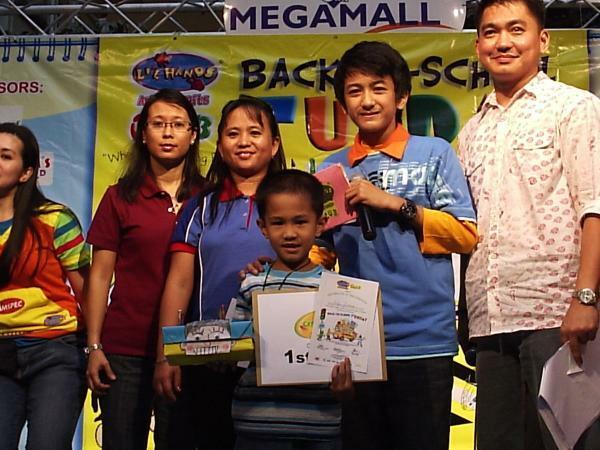 There were on-stage games where kids also won amazing prizes. The event was sponsored by Mattel, Barbie, Enervon-C, and Hapee Kiddie Toothpaste. The best thing about this event? Admission is FREE! Eveready batteries had always been a part of my life. Believe it or not, it had actually made my life more memorable. With its 110 years of existence, it remains to be helpful for every Filipino household. Eveready is a brand we have trusted for years and continues lighting up lives even up to this day. With long-life exceptional performance backed with five years guaranteed shelf life, Eveready provides reliable, longer lasting power in our devices. When I was a kid, I’ve always dreamed of having a walking doll. For young girls, it was the coolest item back then. I don’t know if you could call it a status symbol early on, but it seemed like every girl in our village has one, except me. You see, my mom wasn’t like most mothers. For one, she was a single parent. My mom wasn’t fond of giving me toys as presents. If I wanted something, I had to work hard for it. Mom eventually gave her nod to buy me the walking doll I had been jonesing for years only after I topped my class in first grade. I was delighted when we finally bought my walking doll named Lea Michelle. She had blue eyes and long curly blond hair. She also had a bedimpled smile painted on her face. I could vividly recall that she would only come to life with three AA Eveready Batteries behind her back. The minute I put the dry cell inside her was indeed a magical moment. I held my doll’s hands as she walked with me. By pressing her tummy, she would belt into a song. I would always loved to play with her and I even had her beside me when I sleep. She had been my best friend, confidante and playmate. Pretty soon, I had outgrown my doll. But the happiness and all the other memories she had given me will always be inside my heart. She made my childhood life happy despite being an only child. And it was all possible because of her Eveready batteries. In college, I had discovered my interest in reading books. I became a bookworm after reading books by Paulo Coelho, J.K. Rowling, Neil Gaiman, Mitch Albom, Sophie Kinsella, and Maya Angelou. I became a voracious reader that putting down a good book is the least I would do. Using a handy flashlight packed with Eveready batteries, I’d read my books even at night. I used to have the “Hogwarts headache,”—which was described as a mild condition, a tension headache possibly accompanied by neck or wrist pains caused by unhealthily long reading sessions of huge hardbound Harry Potter books. I remember mom would often scold me regarding my night reading habit, but I simply couldn’t resist reading, I couldn’t put a good book down. If you’ve been a follower of my food blog http://angtakawko.blogspot.com/, then chances are, you must have read in my past posts that I’ve joined a cooking demo contest. After I got listed, I’ve started scouring for recipes. I’ve asked around and researched on the net. But I couldn’t find any that I liked, until a friend gave me an idea. December 11, 2010. I’ve actually dreaded that day since I need to wake up very early in the morning, around 4AM to prepare for the ingredients we’d be using then. The No-Cook Recipe Demo Contest was organized by Nestle Club. There were three teams with three member each and we were given only 15 minutes to finish the recipe. But we did ours in just 9 minutes. The only requirement was to use at least one Nestle product. There were also three judges and one of them was a nutritionist. The audience were also given the chance to taste all the three recipes made by different teams. I don’t know why, but our team had the most number of food tasters. It was probably due to the fact that our recipe had been colorful enough. It had “Christmas colors” of red and green bell peppers. My hands were clammy after hearing nasty comments from the old people behind me. My heart almost sank and I thought, “Oh, no! We had no chance of winning if these would also be the judges’ reactions.” I wanted to hide from my seat after hearing such comments, I almost regret joining the contest. My Aunt happy with our job done. Each member of our team won P500 worth of Nestle Products and a Nestle apron. Before the winners were announced, I wasn’t expecting anything anymore. So when I heard our team as winners, it had taken a nanosecond before it had totally sunk into my system. I was dumbfounded, I could not believe we had actually won, but we did! Hooray! But what had touched me the most was being approached by a total stranger who was a schoolmate from La Salle. He went up to me and shook my hands. He congratulated me and even cheered: “Go, La Salle!” As his schoolmate, I felt the sincerity in his heart and I was happy to have made him proud. Too bad, I wasn’t able to ask his name, but whoever he was, I’m thanking him from the bottom of my heart. Mix the Cream of Mushroom and Nestle All Purpose Cream. Pour the mixture into the pasta. Continue mixing while putting the rest of the ingredients together. For garnishing: Garnish it with parsley in the middle and put sliced red and green bell peppers around it. Dash a few bacon bits and grated cheese on top. Special thanks to my good friend, Sherry Rose Salonga-Licauco for the idea and to my fellow La Sallian. The first book made by Alexandra Robbins. The sequel to the Quarterlife Crisi book Robbins made. I think I'm having a quarterlife crisis. Yup, you're reading it right--there's such a thing as quarterlife crisis. You aren't in your 40's yet, but you've lost sight of where you're going. I have finished a bachelor's degree in mass communication but guess what, I don't want to pursue the profession anymore. Not surprisingly, I have received a lot of flak for turning in this direction. People, especially my family and relatives think that I'm passing up a totally perfect opportunity to earn big bucks--this, aside from wasting four (in my case, it's actually five since I've stopped for one semester)years of college. Actually, I had wanted to shift to another course but I didn't have money to start over. So I just decided to finish my course. An unwise decision? Maybe. The question is: "What are you going to do then?" Well, I really don't have concrete plans yet, but I do have things in mind. Once I shall have saved enough money, I'll put up my own business. I know that my future is kind of uncertain as of the moment but I'll make it through. I know what I am capable of, that's why I know I can go places. i have battled with hundreds of demons before. What's a couple of hundreds more? I know, so I am told, that what I'm doing is tremendously risky. One day you see your future vividly, the next thing you know, everything has turned pitch black. The thought of having an uncertain future is as frightening as hell; you don't know where to go, you don't know what to do, and the most frightening of all: you're the only one who could help your helpless self. When your life is on the line, yes indeed, you should be scared. Don't get me wrong though, this doesn't mean that I'm willing to lose or that I'm giving up. I have a heart--and that's all I ever need. I want to put up my own business, write articles for magazines, perhaps writing for a column won't hurt, and a whole lot more. Yes, there are a lot of things I want to do in my lifetime, but I will never be able to fulfill any of them if I pursue a career in a 9 to 5 office. People might say that my dreams are worthless or I'm being immature, but who doesn't dream? Personally, I think dreams are among those things that make us human. And with the kind of drive or motivation I have, I do hope nothing can stop me. I have friends in college whose dreams are entirely not related to our course. There's one girl who wants to be a fashion designer, there's one who wants to teach, another one wanted to become a nurse and so on and so forth. Unfortunately, all of them are currently trying to get themselves "americanized" because of call center or bpo job demands. They either get stressed due to overworked or miss their families. I guess this what separates us from the rest of them: I have the guts to take myself out of the usual. I try to realize what do I really want in life. If I fail, it will be alright. My life may be like jumping off a cliff with the thought that I can fly and soar up in the sky; and that I could also end up plunging back to earth face down. Honestly, I would go for that than living a life that I do not want. I would rather jump off a cliff and hit the ground than ask later "Why the hell didn't I jump?" I dreamt of seeing my name on print since I was a kid. And I'm proud to say I have done just that. I have faced the tyranny of poverty and survived. These small accomplishments may not be spectacular or they may not yield much profits, but if my dreams are slowly coming into reality...now that's something. Earlier this year, I have been wanting to start a blog. I made this blog in February of 2010, but only managed to put in some posts around October of this year. 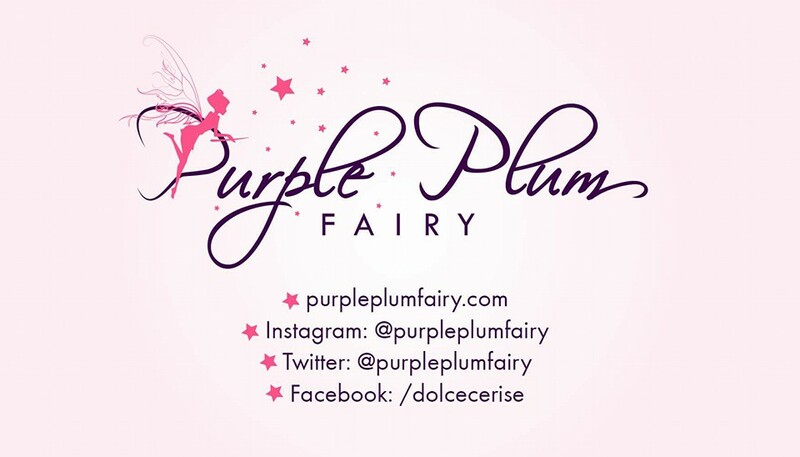 But before this year ends, I am now maintaining three blogs. Think of people who have spent their whole lives trying to achieve their dreams. Those who died without achieving them, those who spent their lives without dreaming at all. Now that's downright sad, ain't it? That said, let me leave you with a couple of questions to ponder on: Do you have the guts to go for and get what's rightfully yours? So far, what have you done to achieve your dreams? And do you even have a dream of your own? God speed and keep on dreaming! Good luck! Ben Tennyson who can transform into ten different aliens through the omnitrix. Kyle loves to watch Ben 10 on Cartoon Network. He also owns a few Ben 10 DVDs and figure toys as well. And yet, he wants some more...Every time we're at the toy store, he would ask me to buy him another toy figure in which I'd usually decline. He understands that toys aren't on my top priorities. But he never fail to try and ask. I wonder what he sees in Ben that made him so into him. Kyle had been a follower of most cartoons before, but his interest in them could never be compared to his desire and interest on Ben 10. Ben 10 animated series is about a young boy, ten years old at that, named Ben Tennyson. He lived with his cousin Gwen and Grandfather. He was an ordinary young boy until he found an omnitrix one day. An omnitrix looked like a watch except that it could transform Ben into ten different aliens when he turns on the dial. Ben 10 had since matured, he's now into his teenage years. Cartoon Network even made Ben 10 into a movie. I had a chance to see one of the Ben 10 episodes Kyle had been watching lately which lead me to realize a few things. I wonder, what if parents had been given the chance to possess ten parenting powers such as that of Ben 10, what would they be? Read minds--I want to be able to read minds so that I'll have an idea what they're thinking of, like if they had been lying to me all along and I'd be able to know what Kyle wants to eat without him saying, etc. Healing Powers--So that I can heal Kyle and all the other people I loved in an instant, I wouldn't need to call on a doctor anymore, I'll save time and money too. Multiplicity--I want to be able to multiply myself when needed. I want to attend to Kyle's needs and be there for him when necessary but still do my own stuff of scheduled activities for the day. This way, I can easily do multi-tasking jobs. Finish my chores on time without any hassle. Power to keep my loved ones safe ALL the Time. Do I need to elaborate on this? I guess, it's what everyone wants to be sure of. Strength--Supermom. So that I can carry Kyle when his feet gets tired, I can still give him a piggy-back ride even if he's already 8 years old. I can help him carry his huge backpack to school all the way through his 3rd floor classroom without too much effort. Child-like quality forever--I think it's important that we possess a child-like attitude. No grudges, but pure in heart and a peace-loving citizen. Seeing the world in the eyes of a child makes our world a better place to live in. Power to see the future--I'd like to see the dangers coming and be able to correct mistakes as well even before they even come. Voice that encourages--I want to be that tiny voice inside Kyle's heart that keeps on encouraging him, making sure that each time he feels disheartened, I am there to cheer him up, be his rah-rah girl and effectively makes sure his spirits are up. Letting him know that he can do things if he wants to. Be able to heal his heart from all the harshness of this world. Brain power--So that I can easily breeze through his assignments and math equations with such speed. I'd like to answer all his questions and inquiries about different topics under the sun. Mommies, how about you, what are the ten parenting powers you want to possess? I figured, watching a cartoon show on TV may also do you good afterall. Aside from being able to relax and bond with your child, you get to realize other things. I am not really into makeup. People who knew me personally know this very well. If I ever wear makeup, it has to be for a very important occasion, say a wedding or a party. But not everyday. If and when I wear makeup, it'll be just blush and a lipstick. I don't know why but I seem to be someone born to be a makeup/cosmetic lover but not a user. I love to buy cosmetics, not to use them but simply to collect them. I like seeing its different shades and colors, from something matte to silky and shimmery. So you could just imagine my surprise when I won in a magazine contest, I won a P3,600 worth lipstick by Guerlain--a French cosmetic brand. I didn't want to try it at first. It's so far my most expensive cosmetic to date. I would never buy a cosmetic as expensive as such. It was even modeled and used on Ms. Kristine Hermosa on that magazine where she was on the cover. I put it on, glided the pinkish lipstick on my lips. It was somewhat shimmery and it had a nice taste, somewhat fruity. It's what I'm loving now, because it looks so natural on my lips, as if I'm not wearing a lipstick. I was told that you can find Guerlain brand of cosmetic at Rustans. I feel like a girl when wearing it. No, I mean a woman. Not that I'm gay or anything, but I just feel a sense of femininity if I wear it on. I could feel girl power! With such pouty lips and getting the natural shade, I could never go wrong. I'm ready to face the world with all the verve I've got! The pinkish lipstick with its own double-sided mirror. The box and silver casing. Hey mommies, don't miss this chance to bond with your kids and meet new friends as well. 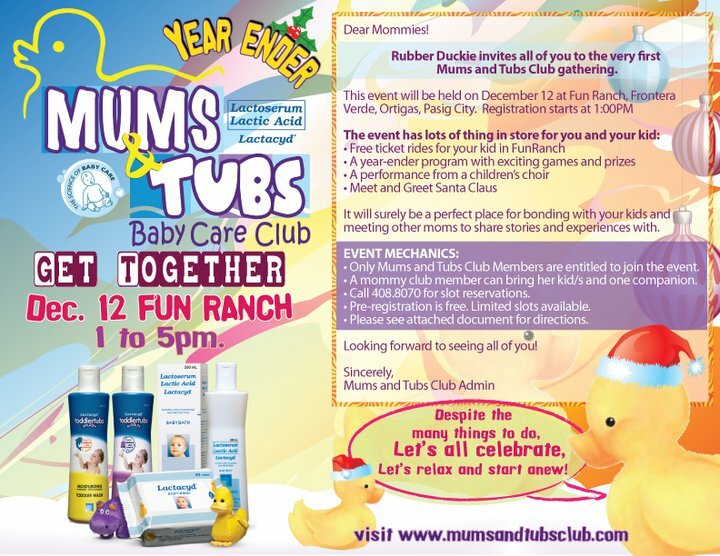 Join Lactacyd Mums and Tubs Get Together event at Fun Ranch on December 12, 2010. This is open to all Mums and Tubs members, for those of you who aren't membes yet, it's so easy to join. Log on to http://www.mumsandtubsclub.com/ and fill up the form. Register to the event by calling 408-8070 to reserve your slots. Hurry, limited slots are available. You may bring in your kids and one companion. There will be lots of fun, games and surprises in store for you. Hope to see you there! Kids are always abuzz with excitement during this time of the year. For very understandable reasons—the season just teems with activities for both the old and the youngsters. And the first week of December usually signals the start of many Christmas parties with co-workers, friends and family. But have you finished your Christmas shopping? If not, read on. When it comes to giving gifts, Professor Mary Joyce Dumlao, a Child Developmental Specialist from the University of the Philippines Family Life and Child Development says that age appropriate and toy guidelines on the toy’s label must be followed. If the box stated that a particular toy is not intended for children below 3 years old, then so be it. No small parts for children to avoid swallowing and choking. Make sure there are no hinges that could pinch or hurt tiny fingers. Many stuffed toys can cause allergies. Eyes—colorful, different shapes and sizes. Hands and feet—feely and touchy objects with different textures. Mouthing—paint should be lead-free and nontoxic. Swallowing—parts are not small enough. Throwing—parts do not break into objects in the house. Hitting—toys do not hurt or injure. Children are starting to play with other children, so teach them proper attitude. For group play, always keep more than one toy of the same kind. This way, when one kid likes to play with a ball, the other kid can also play a ball without waiting for his or her turn to play it. School Aged Children—Recommended toys for discovery and independence. · Outdoor games—develop proper behavior in group games and following rules. · Look for warnings and other safety measures on toy packaging. 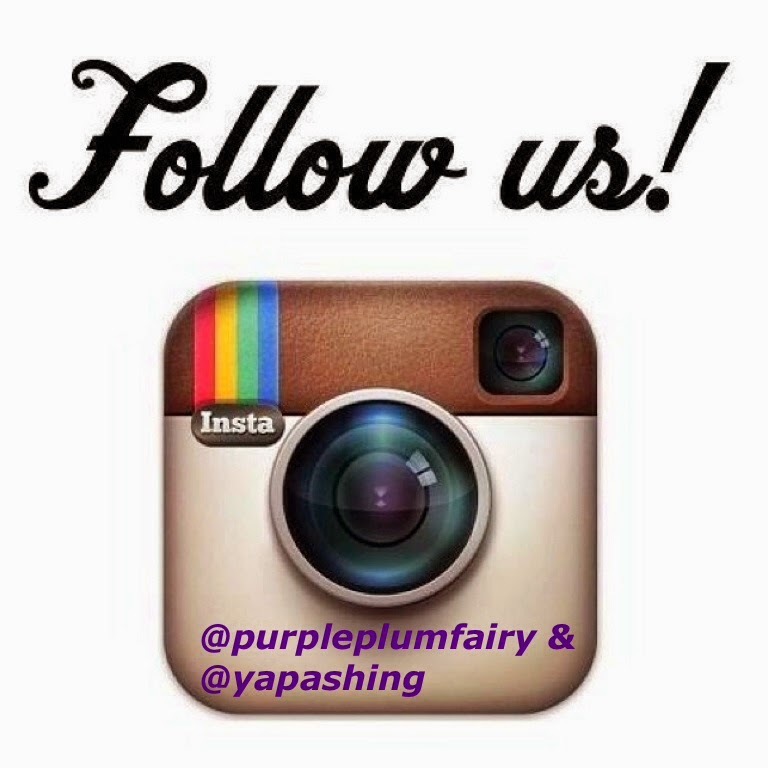 · Avoid toys with sharp points or edges. · Make sure small parts of larger toys can’t break off, wheels are properly attached. such as plastic, cellophane, staple wires and Styrofoam. Teach your child to learn how to pack away his or her toys once done playing. Examine toys regularly for signs of wear and tear. Throw away broken toys. God bless and happy shopping!